Spending a lot of time together in a new relationship is normal and fun. You are getting to know each other on a deeper level, emotionally and sometimes physically. You may get the “stars in your eyes, let’s only hang out with each other” type feeling because this person makes you feel attractive and loved and excited about life together. But what happens when “let’s only hang out with each other” becomes less of a feeling and more of a command? We call this isolation and it’s a form of control within a relationship. If you are feeling fearful, alone, or trapped in your relationship, you are probably experiencing dating abuse. Isolation is often a gradual process - like walking down a low grade hill. You may not notice that you’re actually moving down until you look up and suddenly the place you were before is high above you. Look for warning sign behaviors that create a barrier between you and the people and things you love. For example, when you hang out with friends, does your partner belittle your friends or you? It can start subtly: “Karen is so dumb; I don’t know why you hang out with her.” And turn into more direct threats: “Karen is so dumb and I don’t want you to be like her. If you keep hanging out with her, we’re over.” In addition to verbal threats, body language is an important marker in determining isolation tactics. When you're out with friends or family, your partner might start to physically distance themselves in the back of the room or become very clingy and hover over you. 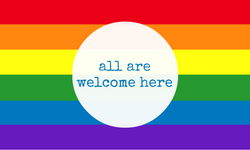 These acts create a physical barrier between you and the group which can be very uncomfortable for everyone involved. 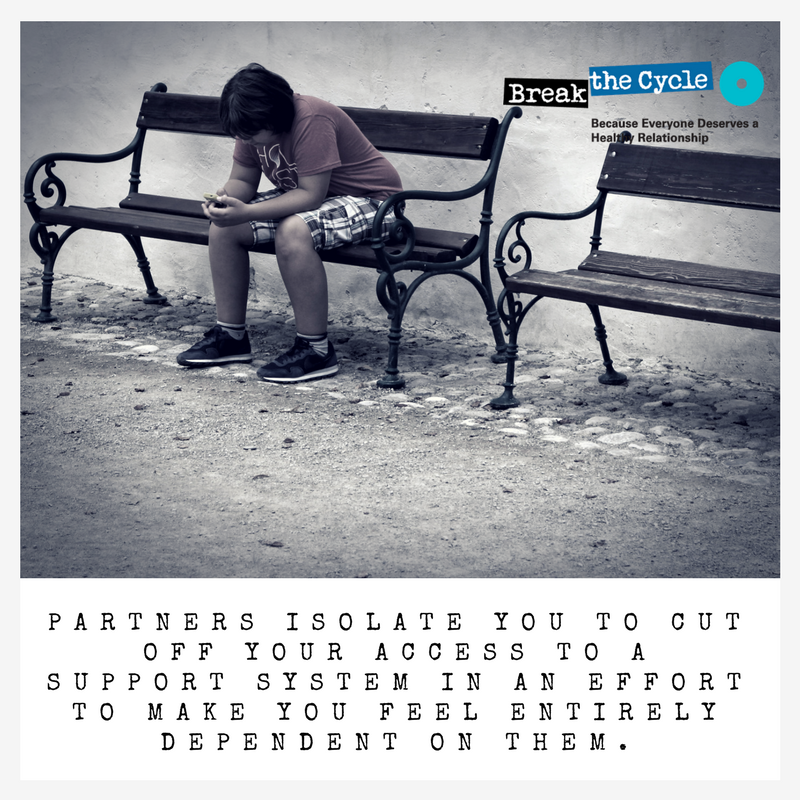 Abusive partners use isolation as a way to cut off access to your support system in order to make you feel entirely dependent on them. This makes it harder to recognize behavior that isn’t cool, leave the situation, or get help. Having friends and family to rely on is essential for your emotional and physical health - it’s part of being a Healthy Me! In a healthy relationship, your partner will encourage you to be with people who uplift you, as well as give you the freedom and space to be in activities just like you were before the relationship began. What does your partner think of your friends? Do you all hang out together? What’s something that you get from your best friendship that you can’t get from your partner? I’ve noticed that you’ve been at your partner’s house a lot and I was hoping that we could get to know them better, just like you’ve gotten to know their parents. Do you think we could have dinner together? I love spending time with you, but my weekly best friend outings are really important to me. It bothers me when you don’t speak nicely about my family, because I love both of you. It would really mean a lot to me if you all got along. I need alone time - let’s take a day to ourselves so we’ll cherish our time together even more. 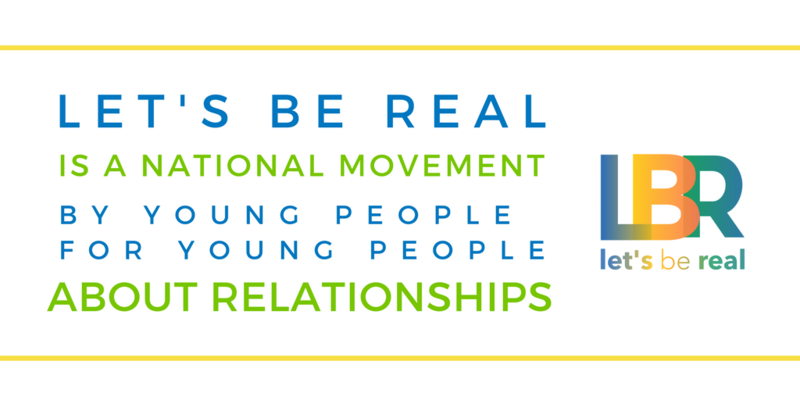 Remember, you deserve a healthy relationship where your relationships with family and friends can still flourish and grow! Having freedom and space is an essential part of a Healthy We. If your partner reacts badly when you spend time with others or if you feel like you need to “ask permission” to do so, that’s not respectful. If you notice any of these signs in your relationship and want to talk about it with a peer advocate or if you need help, text “loveis” to 22522.